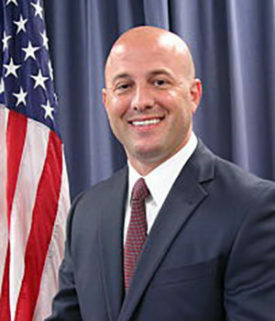 President – Richard R. Del Toro, Jr., is the President of the Treasure Coast Hope For The Homeless Foundation and an Assistant Chief of Police at the Port St. Lucie Police Department. In addition to his work with the Treasure Coast Hope For The Homeless Foundation, Richard is a member of the Port St. Lucie Downtown Lions Club and Vice-President of the Board of Directors for the Boys and Girls Clubs of St. Lucie County. In 2013, he was awarded the prestigious Lions Club Melvin Jones Fellowship Award in recognition of his charitable work within the community. Richard holds a Master’s Degree in Public Administration from Nova Southeastern University and is a graduate of the Florida Criminal Justice Executive Institute and the Southern Police Institute at the University of Louisville. He is also the owner of a small business, Innovative Security Consultants, which provides law enforcement consultation services to police departments around the country.